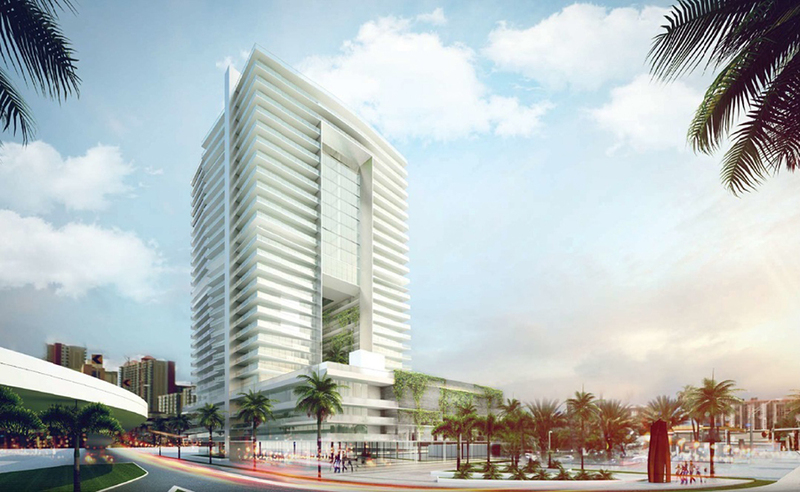 Cornfield West is a project of a condo-hotel in Sunny Isles Beach, construction of which is planned on the main street of South Florida Collins Avenue. Developers aim to build a 26-storey tower, with 122 residences for sale and a hotel with 150 rooms. Famous architect Kobi Karp will design the building. Condominium Cornfield West will be located at 16800 Collins Avenue, near Sunny Isles Beach Boulevard, surrounded by many shops and restaurants. The Atlantic Ocean and niveous beaches are located right across the street. Large picturesque Oleta River State Park, Aventura and Golden Beach are just in a few minutes of drive from the condo.